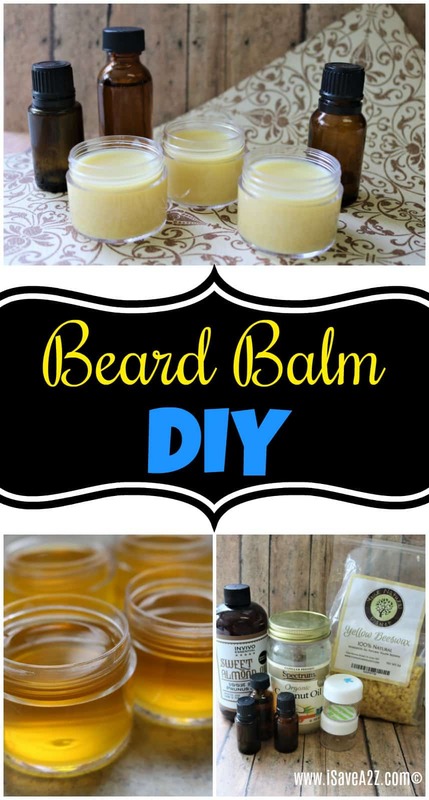 Does your husband have a hard time finding good, natural beard products? When I was trying to hunt some down for mine, I found very little out there, and the ones I found were quite costly. Guess what?! 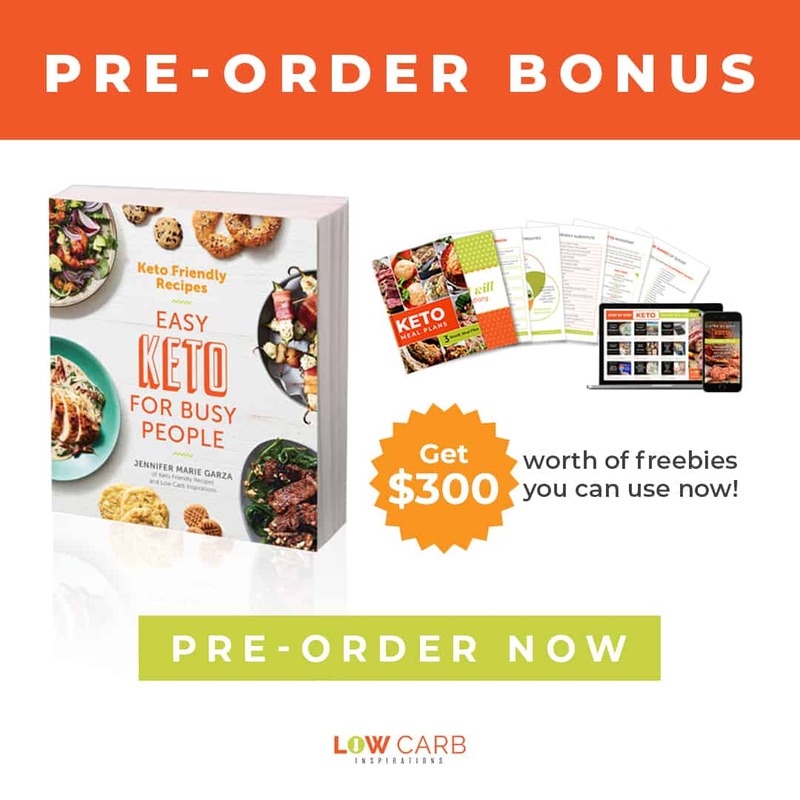 It’s easy to make your own! 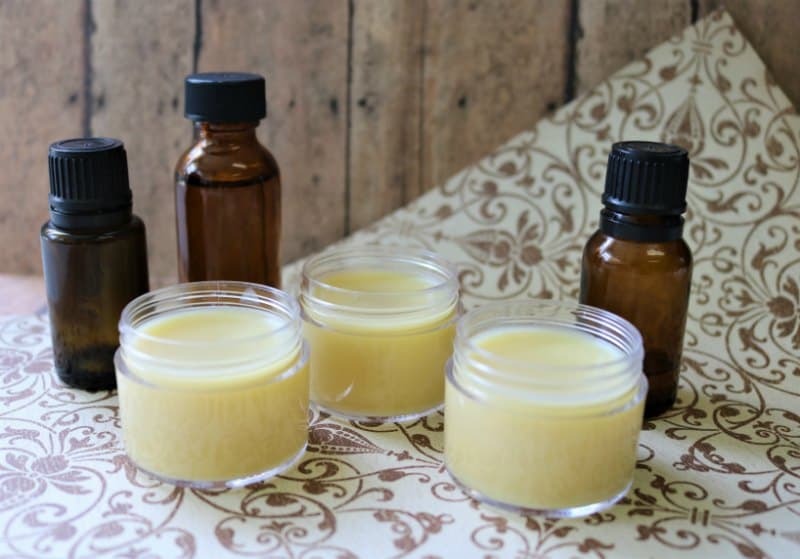 You can easily make him some homemade beard balm, and save the hassle, as well as the cash. 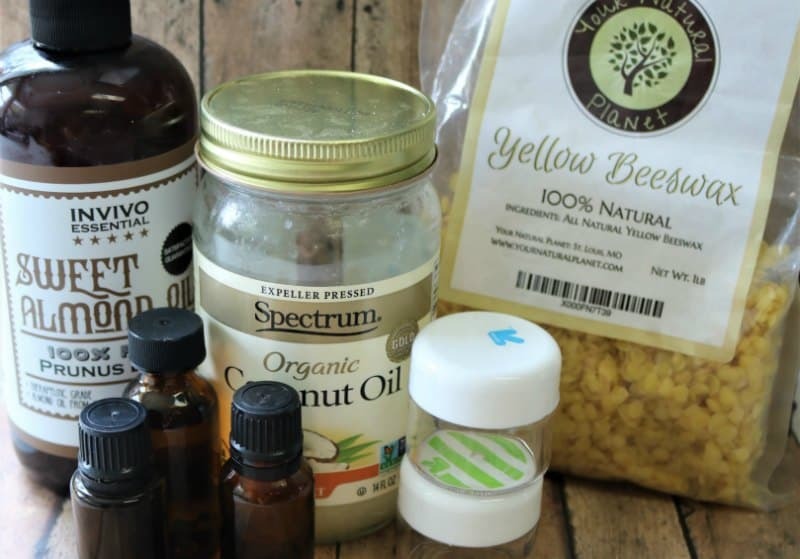 Using a few basic ingredients that are wonderful for your body and skin, plus essential oils for scent and their amazing health benefits to boot, I think you will find this recipe to be a good fit. 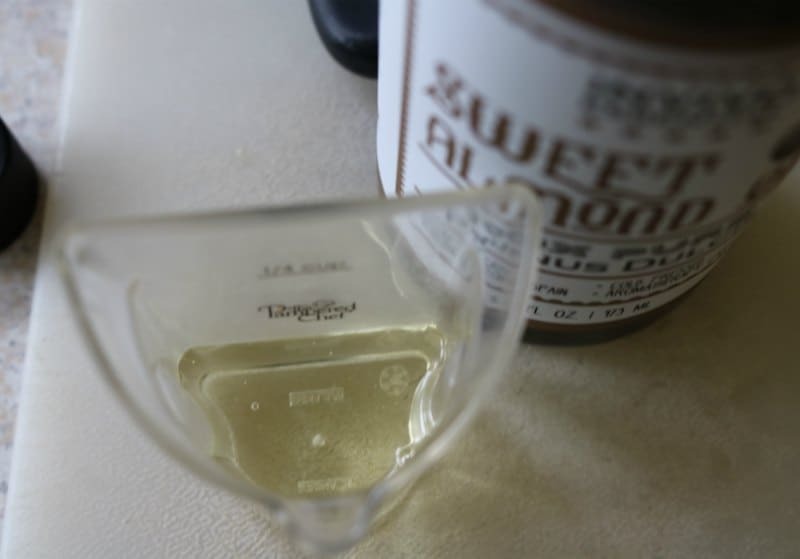 Using a double boiler, fill the bottom half of it to just under half full of water, and place over medium to high heat. Then, place in the top half of the pot, and measure out your beeswax and add that in. 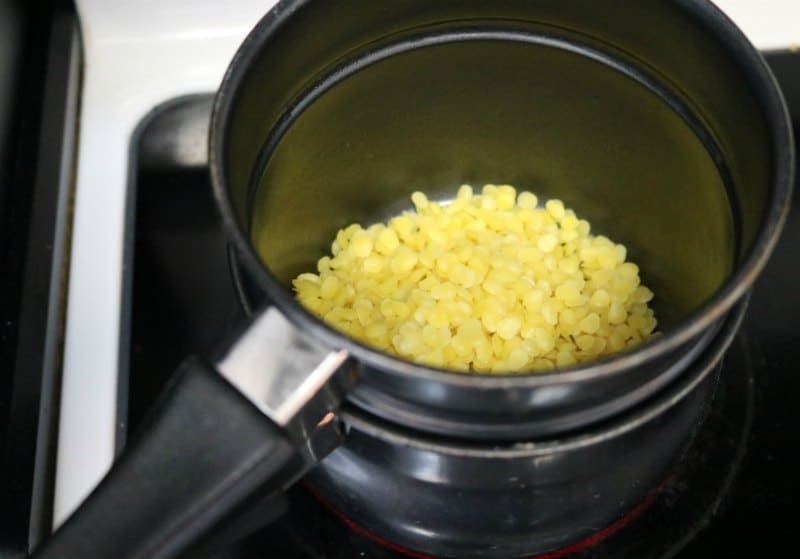 At first, it won’t seem like it is going to melt, as the water heats up, but as it gets hotter, you will hear it beginning to boil and the wax will start to soften and melt. You will then want to turn the water down to very low, so that it doesn’t heat too rapidly and overflow, or burn the wax. 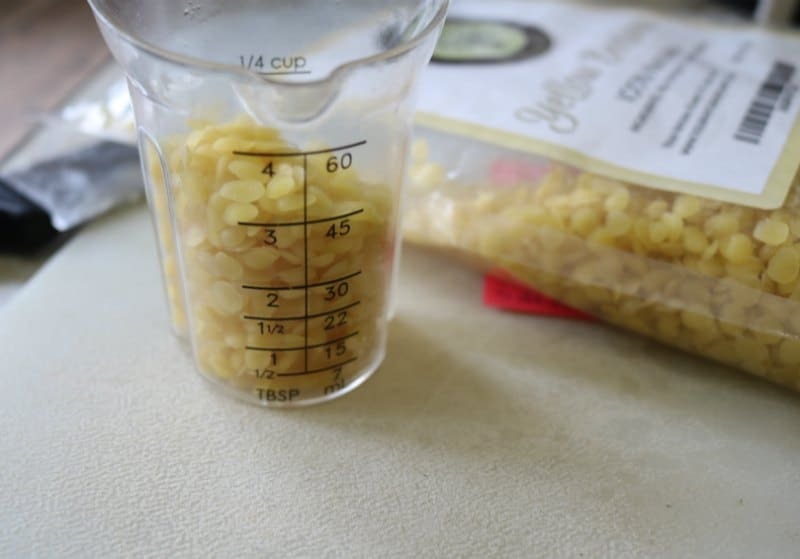 Give it a stir once or twice to help break down the wax in the process. I personally keep a knife and spoon for using with wax, which makes it easier and then I’m not getting it on our everyday silverware. 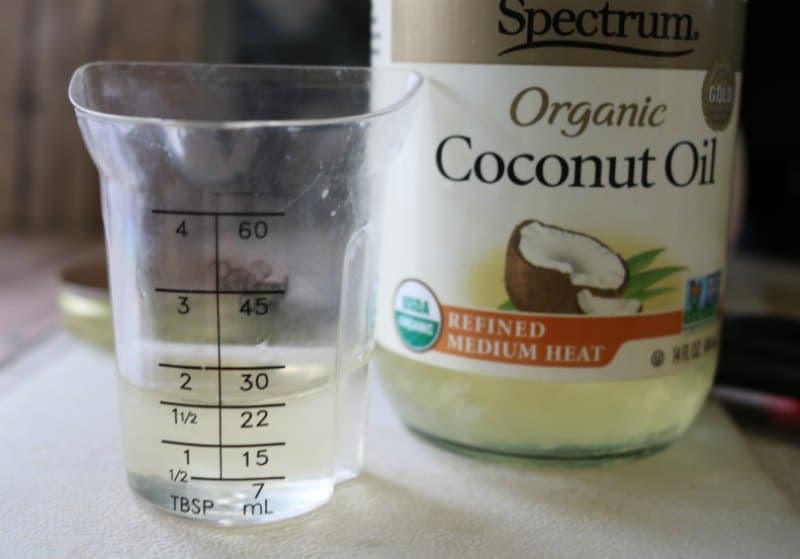 While the wax is finishing melting, measure your coconut oil and have it ready to go. 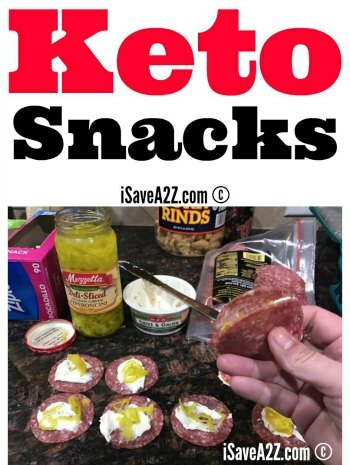 Sometimes it will be thick and solidified, and if that’s the case, just take off the lid and pop it into the microwave for about 20 – 25 seconds to liquefy it. 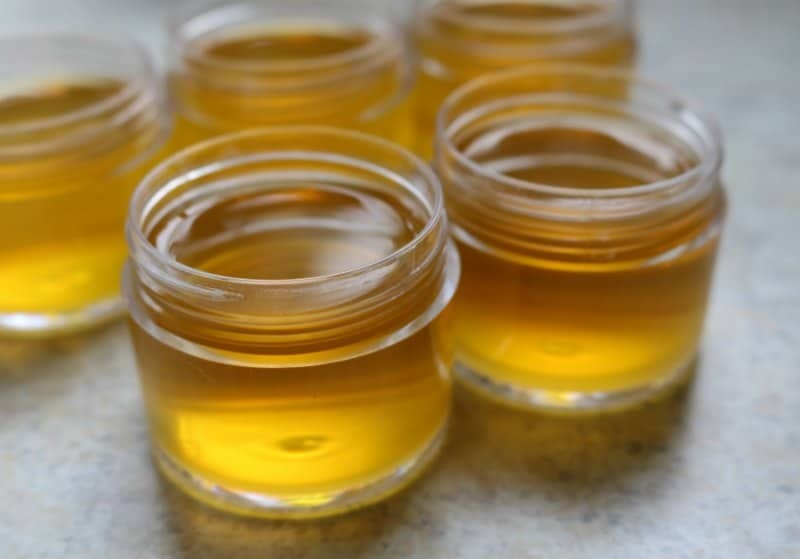 Now is a good time to lay out your balm containers and remove their lids, so that once the balm is ready, you can pour it right away and not leave it on the heat for long. 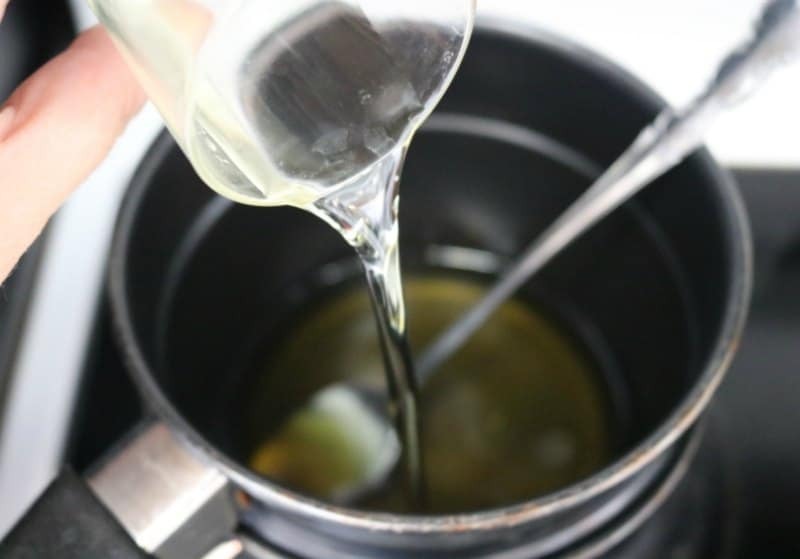 Once your beeswax is melted and clear, with no pieces of solid wax left in it, add in the coconut oil and stir. 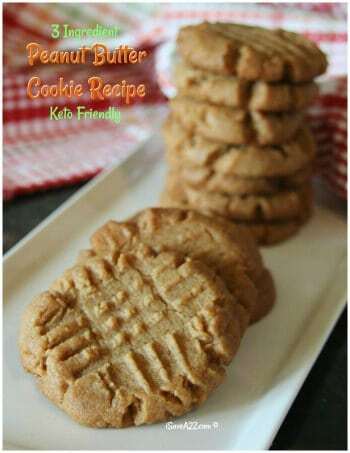 It will melt quickly and you can then add in the sweet almond oil. Now just let the mixture melt until clear. Now you are ready to add in your essential oils. The fir and the rosemary are going to be a thinner consistency and can easily run out of the bottle fast, so just be sure to take it slowly with them, or you’ll end up using way too much. Once they are all added, give it a good stir to blend them in well, and then you can pour the balm into the containers. Take it slow as your pour, just like you did with the oil drops and if it happens to begin to set up and thicken too fast, just put the pot back over the heat to loosen it back up. Leave the lids off and let the balms sit out at room temperature until they are fully cooled off. This will probably take at minimum, 30 minutes to an hour. 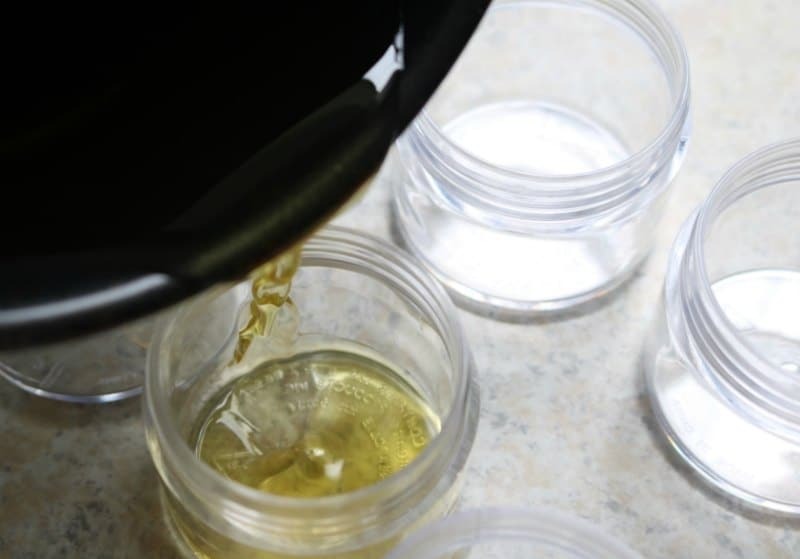 To tell if they are cooled, feel the bottom middle of the container, and if it is no longer warm, then it is ready to go and you can put on your lids. Add a nice label if you’d like, and you’re all done! To apply, get a fingertip-sized amount of the balm and spread throughout the beard as desired. This will nourish and smooth the beard and help with the overall health of the skin as well. 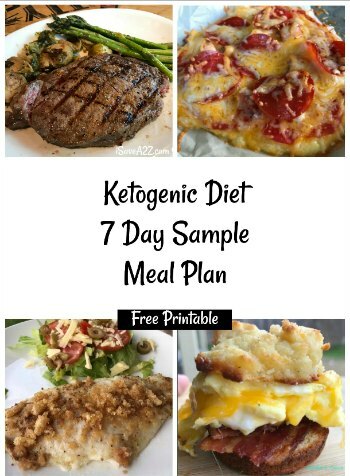 Don’t forget to Pin it for Pinterest later! By Andrea Deckard on September 27, 2018 Crafts, Essential Oil Craft ideas.